Locals of Dramedtse Gewog in Monggar are questioning the integrity of their gup after he transferred his census to Ngatshang Gewog, even before his tenure was over. They say they are led by a person who does not even have a census with them. “Relevant authorities must not only look at the legal issue, but also at principle, morality and leadership,” said one of the locals who requested anonymity. 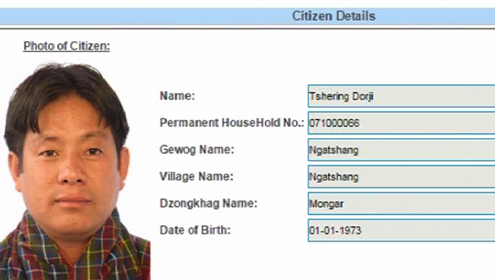 Gup Tshering Dorji, who transferred his census to Ngatshang last November, said he just followed the rules. He said he transferred his census following an announcement from the Election Commission of Bhutan. ECB had announced that those intending to take part in the local government election 2016 and wanted to transfer their census could do so by December 31, 2014. He said he wants to contest the election from Ngatshang Gewog. The Chief Election Commissioner, Dasho Kunzang Wangdi said although the Gup might have transferred his census he is still a registered voter of Dramedtse Gewog. This is because, as per the law, his census in the electoral roll will be affected only after one year from the date of the transfer. Dasho added that the Gup did not breach any electoral laws. However, Dasho stated that if he failed to conduct his duties or if he had breached any other laws, the matter would be an issue to be dealt by a concerned authority.